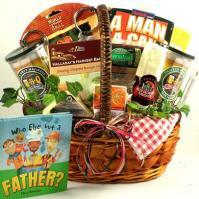 Adorable Gift Baskets delivers gourmet food, fruit baskets, flowers, balloons, unique gifts and gift baskets to Miami, FL for holidays, birthdays, thank you, congratulations, new baby, get well, sympathy and all gift-giving occasions. "I would like to thank you for getting the basket to my mother on time and for calling to verify the shipment was received. Miami, Florida: The "Magic City"
Miami is a city that shines in the sun on the Atlantic Ocean. Miami, FL is located in Southeast Florida near the Florida Everglades. It offers fun in the sun for tourists and residents as well as many historical landmarks for history buffs. The city of Miami was incorporated in 1896 and has grown in population tremendously. It is the county seat of Miami-Dade County, with nearby cities of Miami Springs, Virginia Gardens, Coconut Grove, Brownsville and Gladeview. As of 2003, Miami's estimated population was at 376,815. Miami, Forida is an international hub where over half the population is Hispanic, and the predominant language is Spanish. Miami, Florida attracts Brazilians, Cubans, Puerto Ricans, Mexicans and many others, making the city a logical choice for hosting international events such as the Latin Grammy Awards. Several well-known people have lived in Miami, FL such as actor Sylvester Stallone, baseball player Steve Carlton, actor Sidney Poitier, actor/dancer Ben Vereen and singer Gloria Estefan. Miami, FL was also the filming location for the movies "The Birdcage" and "The Godfather: Part II." Miami sports teams include the Florida Marlins (NL), Miami FC (USL soccer), Dolphins (NFL) and Heat (NBA). Miami, Florida is also known for the televised custody battle for a six-year-old boy named Elian Gonzalez, who was the son of a refugee from Cuba. The boy was returned to Cuba to live with his father. Miami, Florida offers many museums for those who enjoy history, whether it's the history of the state of Florida, Hispanic art or railroad history, there are enough museums to go around. Here are just a few: Historical Museum of Southern Florida, Miami Art Museum, Florida Museum of Hispanic and Latin American Art, Miami Museum of Science & Space Transit Planetarium and the Vizcaya Museum & Gardens. Families who visit Miami will discover there's plenty to do night and day. The Miami Seaquarium (http://www.miamiseaquarium.com/) is the home of "Flipper" and features fabulous dolphin shows, a killer whale and other amazing marine life. Kids will love seeing the crocodiles, tigers, Komodo Dragon and other great animals at the Miami Metrozoo (http://www.miamimetrozoo.com/). It's a sanctuary for rare or endangered animals as well as an educational center for kids of all ages. Families can also take a drive down Parrot Jungle Trail to visit the beautiful Parrot Jungle Island just off Miami's coast. The island flourishes with scenic tropical gardens and exotic animals. For those who want to relax, a day of fun in the sand at the Miami beach will do the trick. Miami hosts several festivals and events throughout the year. The Carnaval Miami, Miami-Dade County Fair & Exposition and the Miami International Film Festival all take place in or around March. Miami also hosts the Orange Bowl game and a Jewish Film Festival in January. Other popular Florida cities we deliver to include Jacksonville, Orlando, Fort Lauderdale, St. Petersburg, Tampa and others.